Today I was busily spending lots of time in the garden. I moved my bell pepper seedlings, dill, fennel, Mexican Honey tomato and stock seedlings into bigger pots. I also planted more radishes (watermelon radishes) into the ground as well as sunflower, asparagus peas, and black zucchini seedlings. I’m also going to attempt to try getting some green beans to sprout. I have some seeds I got from a trade and my coworker gave me some the other day. I am soaking some purple peacock, romano, top crop, and tendergreen beans tonight so I can plant them tomorrow. I truly hope they sprout! Wish me luck. 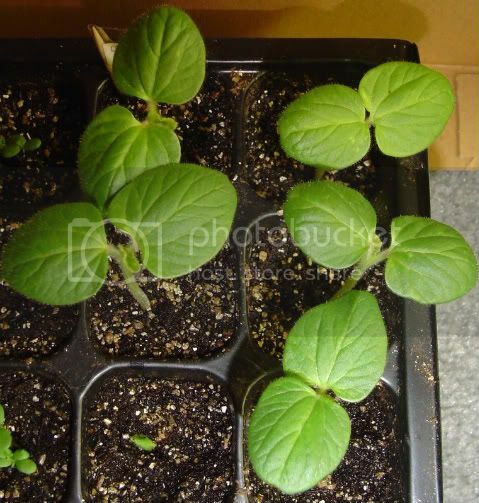 I also plan on planting some more nasturtiums seeds. I have some that have sprouted but I hope to grow a bunch. They look so pretty last year. I also put some stakes down to distinguish my square foot garden and I noticed that I had six squares empty. I think I’ll plant more herbs like basil in some of the squares but I don’t know what else. I need some low growing veggies b/c my these squares are in front of my cucumbers and tomatoes and they need as much sun as they can get. Any suggestions? For my blog readers out there. I’ve set up a way for yal to get email notification of any new posts here at Garden Girlie. Click here to subscribe! Happy gardening everyone!